KSRealityBites: Best tips to protect your Facebook account! Best tips to protect your Facebook account! Facebook is no doubt the most popular social network on the internet these days comparing with all the social networking sites with millions of users of all ages across the world. Just like everywhere else, the popularity has also attracted its misuse to gather & hack the accounts of the users. Girlfriends & boyfriends, husbands & wives, friends & neighbors can check out each others Facebook pages with ease, possibly jumping to erroneous conclusions about what shows up. Hence here are some safety tips you should consider. If you 've not configured your ‘Privacy Settings’ zone, it should be the first thing next time you log-in. The Facebook pages get indexed in the popular search engines like Google & show-up in the first search results. All the information that a user has made publicly available are visible to the users who find your profiles. By default, most of your profile information including your E-mail address is set to ‘Public’. What you can do is - click ‘Account’ in the upper right-hand corner & then choose ‘Privacy Settings’. Here, you can choose sharing of your information with the world, your friends & friends of your friends. You can also make your whole profile & your friend list un-searchable in search engines under ‘View Settings’. You can always remove these applications even after becoming a victim. To do this, go to ‘Apps and Websites’ under ‘Account’ & then click the ‘Edit your settings’ link. Adjust the settings appropriately. It has been a constant observation that certain friends prove to be spammers after you accept their friend request. Firstly, you should avoid accepting friend requests of the people you don’t know. But if you are open to make new friends, don’t hesitate to remove the spammer ones. Don't worry about your friends getting notified about this as Facebook does not send any such notifications. If you 've registered on Facebook but rarely use it then consider de-activating your account. You can do this by going to the ‘Account Settings’ & then selecting ‘Deactivate your Account’. You can always re-activate your account by simply logging-in again as Facebook do not delete your account. The good news is that you can opt for receiving the notifications from Facebook when de-activating your account. While chatting to your friends on Facebook, you might 've received some auto-generated text with a link in it. These type of diverts can easily be identified as they invite you to click on that link & does not appear as a chat message from your friend. For example, a message reads like “Paris Hilton Tosses Dwarf on the Street; Examiners Caught Downloading Grades from the Internet; Hello, You must see it!!! LOL. My friend caught you on hidden cam; Is it really celebrity? ” & so on. Included in the message will be a link to a page which appears to be a YouTube video. If you click on the video, you will be prompted to “upgrade your Flash player now” & will then be asked to download a file which contains the Koobface worm. If you download & install the file, your computer will automatically log in to Facebook & send similar messages to your friends. 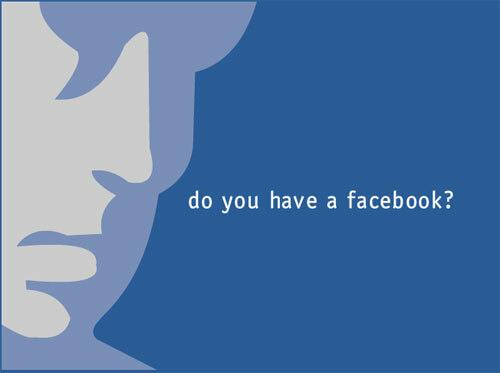 There are lots of Facebook look-alike websites made. Before logging-in, you should always look at the address bar of your internet browser to confirm the url starts with ‘www.facebook.com’ or ‘m.facebook.com’ (in case of mobile Facebook).